What’s more fun than trying a new, seasonally suitable brand? Hello, Eu2Be! 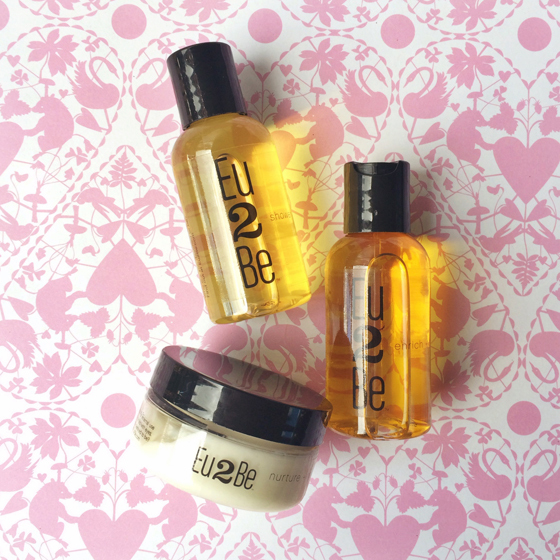 Eu2Be, founded by Charla Jones, is named after her globetrotting aunt Eugenia, one of a number of strong women in Charla’s life who inspired her to create her own definition of beauty – which we can definitely get behind. As always, read your labels – and peep our review below for our thoughts!